Brigid has had an eventful week filled with a couple of fun outings. Last Thursday she got to go on a trip to the Boston Aquarium, where we got to see some penguins, seals, turtles, and various other kinds of sea life! 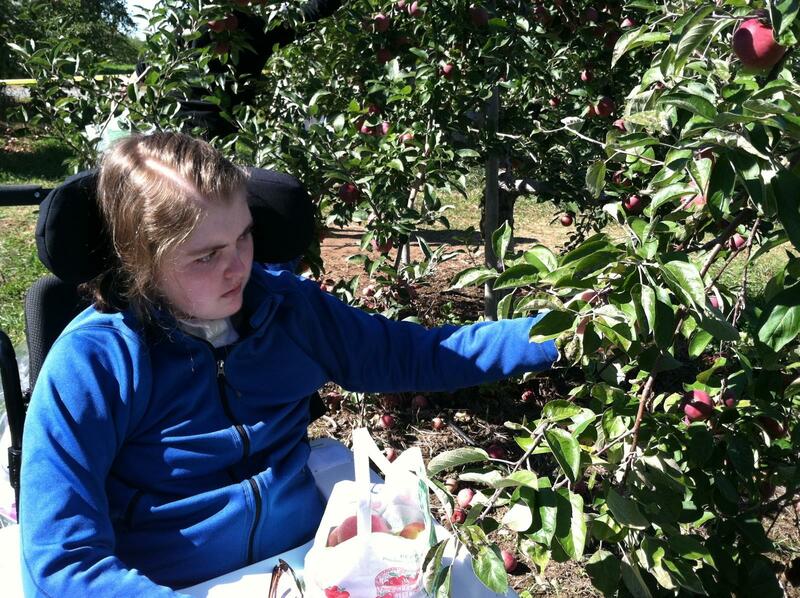 Today, Brigid got to go apple-picking! It was a perfect, beautiful fall day for a fun fall activity. Later this week in OT, Brigid will be making some apple pie with the apples she picked! Today Brigid had her first recreational therapy session! She very much enjoyed her bike ride! Sorry for not updating the site more frequently. Brigid’s inner artist is showing once again. 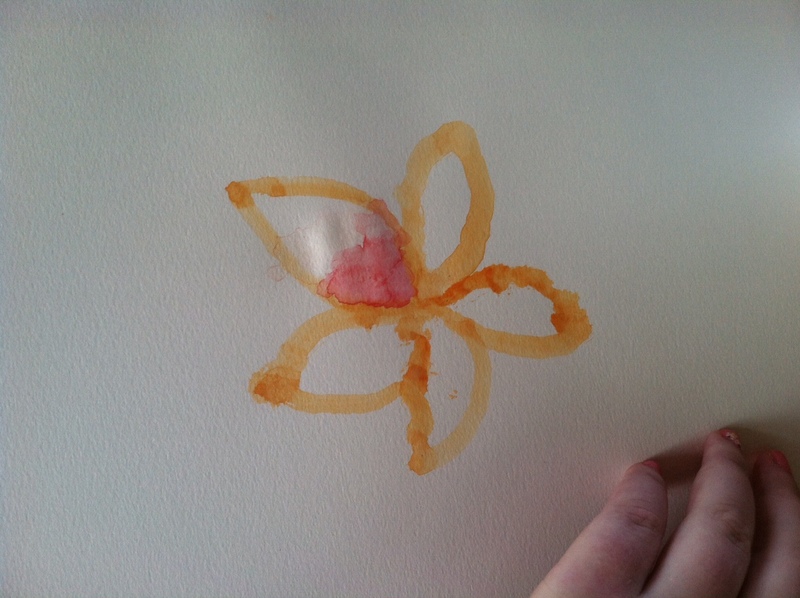 In her spare time she painted a wonderful flower with water colors! 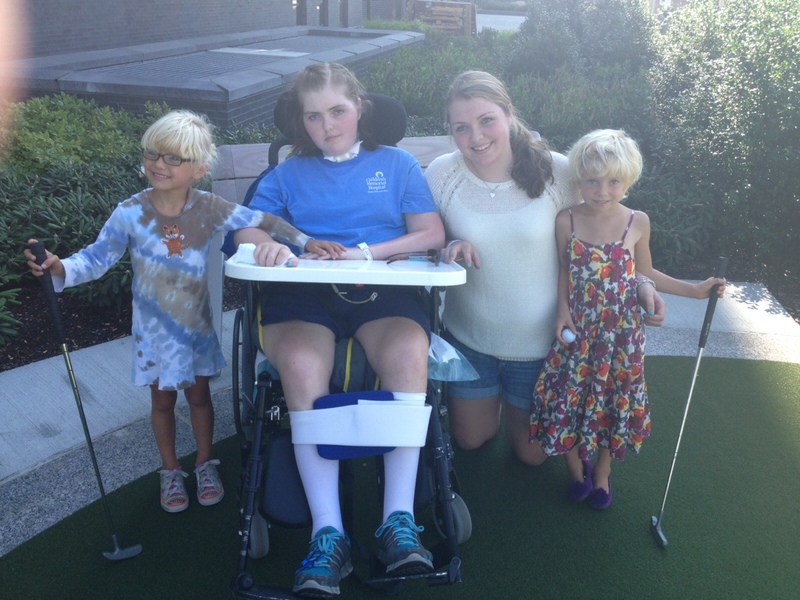 Brigid is continuing to do very well in all of her therapy sessions. Movement on her left side is getting better and better, and she continues to give out fist bumps and high fives to visitors as they leave. She has made some small movements with her right side, and is working to improve that side as well. 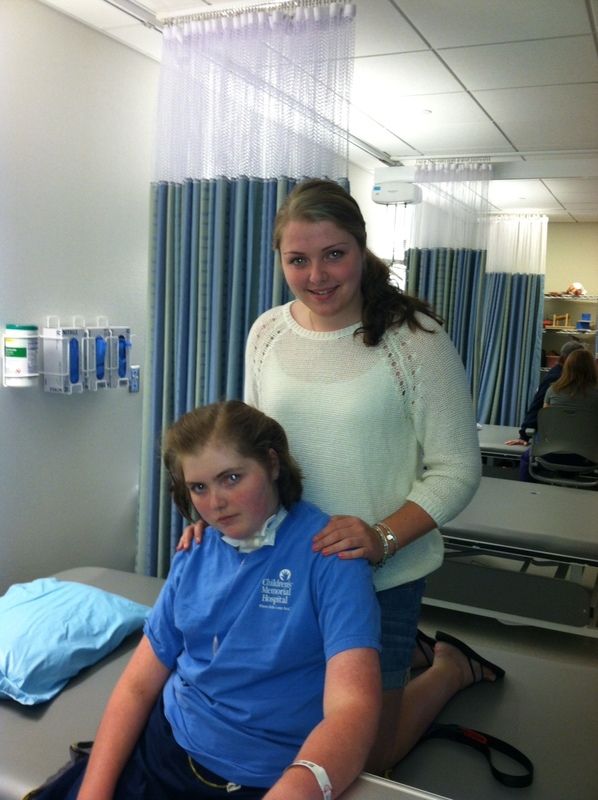 Brigid is settling in nicely at Spaulding Rehabilitation in Charlestown, MA. 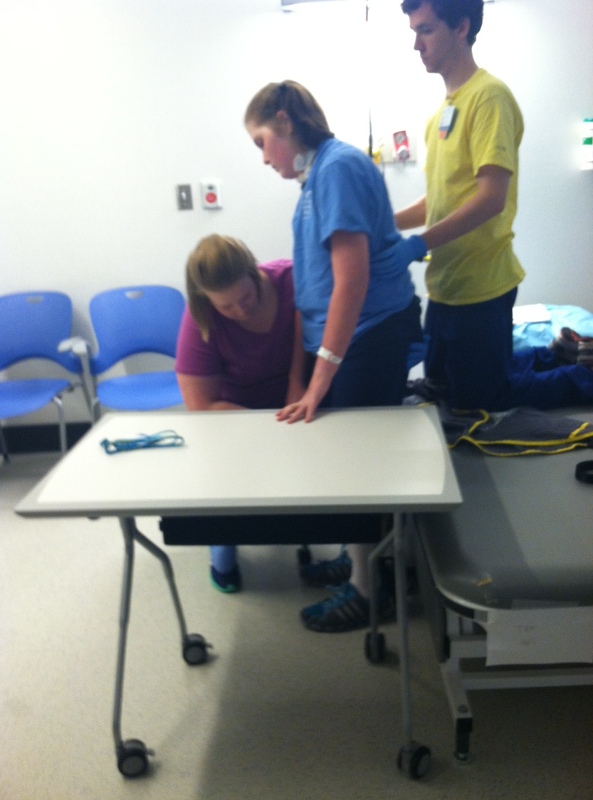 She is receiving Speech, Occupational and Physical Therapies. Please keep the prayers and well wishes coming!!! Cards and notes are always welcome and can be sent directly to the Cooleens home. 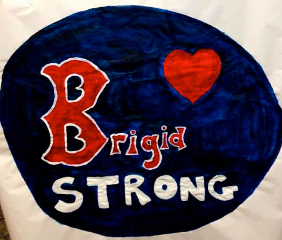 Stay Strong, Brigid and know we are all behind you 100% of the way!!! Today, Brigid decided that she’d be sitting long enough and, with assistance, stood up. She bared weight on both feet and did this a few times. We can’t imagine how good that must have felt for her! 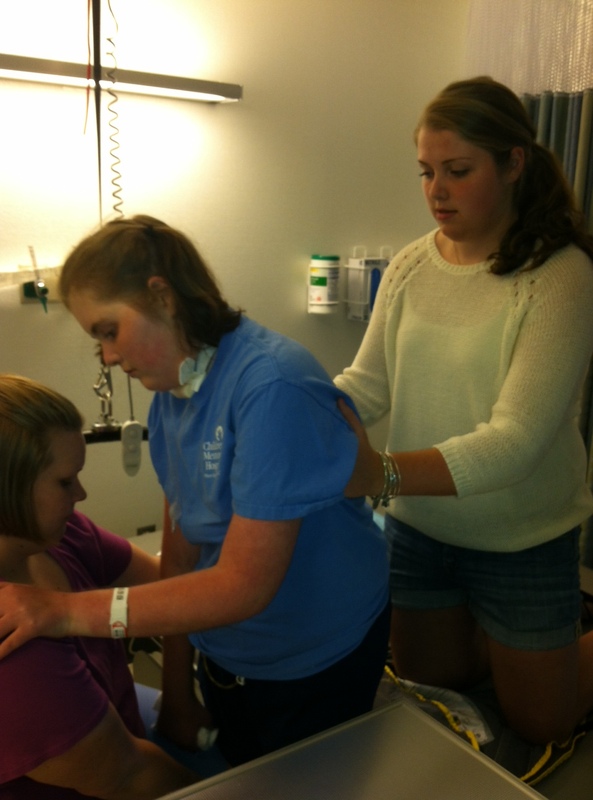 She’s doing well and the therapy has been constantly encouraging B to do more and more. Keep it up Brig, you’re doing awesome! Visiting hours Monday-Friday, 1 pm. to 8 pm, and Saturdays, Sundays, and holidays, 11 am to 8 pm. 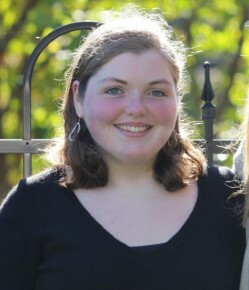 Well wishes are greatly appreciated and should be sent to the Cooleen's home address in Falmouth. 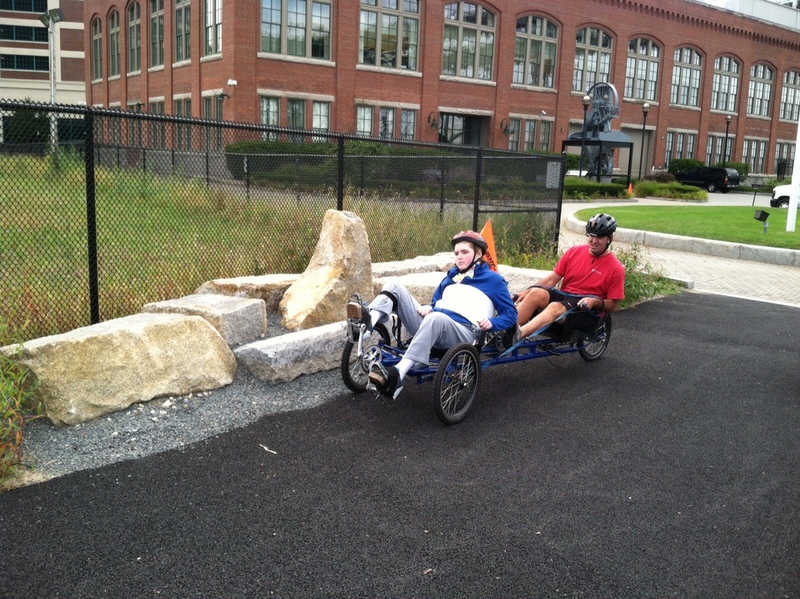 If you wish to help in any way or have any questions, please contact our friend Lindsay Ryan at Lryan3@maine.rr.com.